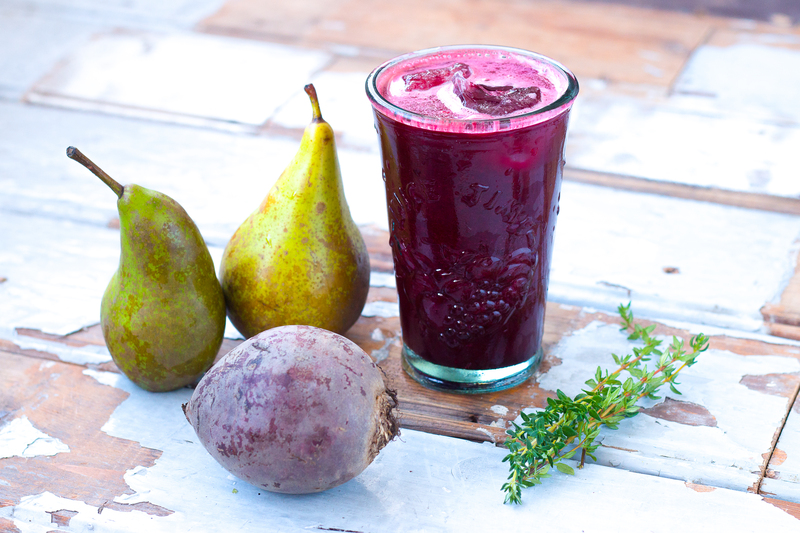 Beetroot juice is one of my favourite juices, next to the classic ginger-carrot-apple juice. Traditionally, people use beet juice to heal the skin, detoxify the liver, it would prevent tiredness and it may kill fungi, because it’s a strong antioxidant and has anti inflammatory properties. Besides all these benefits, the taste is really good too, especially if you combine it with pear & thyme: a golden couple. When you google ‘beetroot juice for athletes’ tons of benefits turn up. Studies prove that drinking beetroot juice is great for runners & cyclists, because it can increase exercise endurance thanks to the high ammount of nitrate it contains. But what does the beetroot juice do to your body? A quick review: beets are a great source of inorganic nitrate. Some of the nitrate ends up in your saliva, when friendly bacteria convert it to nitrite. Elsewhere in the body, the nitrite is converted to nitric oxide, which does a whole bunch of things related to blood flow, muscle contraction, neurotransmission, and so on. Exactly which mechanisms contribute to the performance boost they see in studies remains unclear (and in fact, there are likely multiple mechanisms). One caveat: mess with the friendly bacteria in your mouth by swishing mouthwash or chewing gum, and the nitrate never gets converted to nitrite. So, how much beetroot juice should you drink if you’re preparing to go for a run or training for a race? More is better. Peak levels arrive about 2-3 hours after ingestion, and are approaching baseline again by 12 hours later. My advice, drink beetroot juice every morning 2 hours before running, and drink it a couple of times a week when preparing for a race. 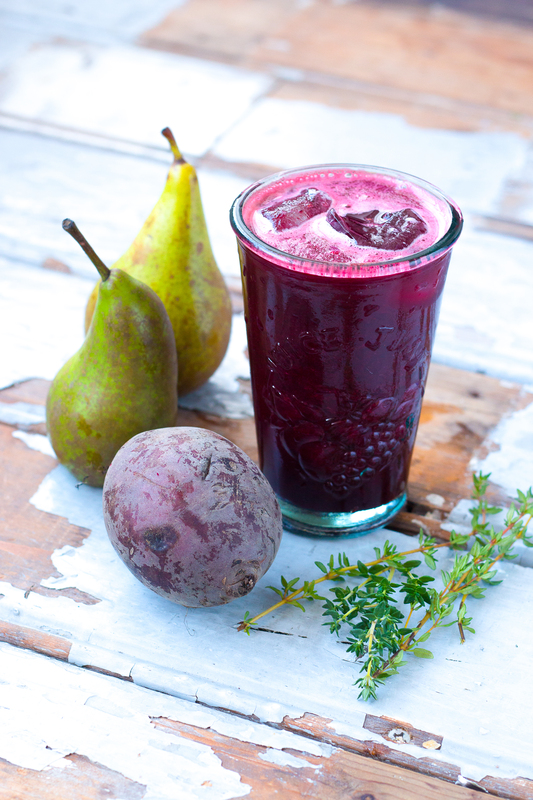 Put the raw beetroot, pear & thyme in the juicer and pour in a glass. Extra tasty with some ice cubes. Looking for more work out food & drink tips? Follow me on Instagram or Twitter! Sign up for my free digital magazine! Register for free ↠ here ↞ to receive my monthly digital magazine! 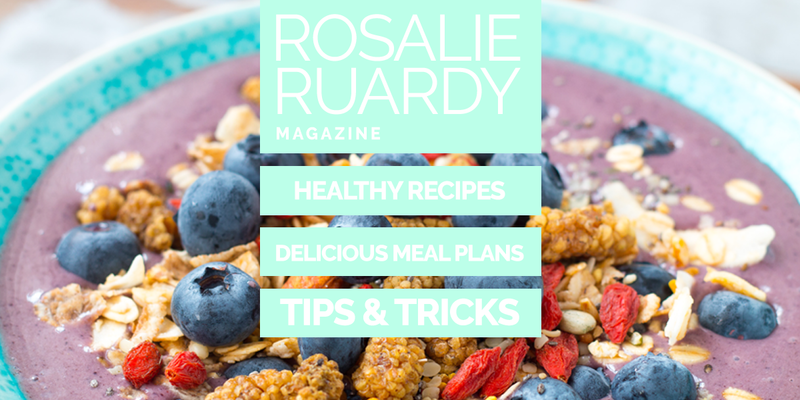 Get healthy recipes, delicious meal plans, tips & tricks and more right into your e-mail inbox.